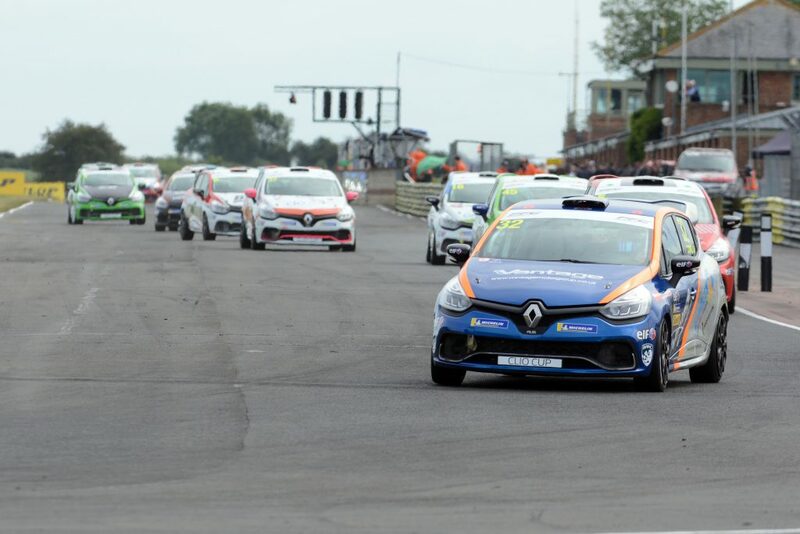 An expanded Westbourne Motorsport line-up head to Snetterton this weekend [28-29 July] looking to restore their lead at the summit of the Renault UK Clio Cup standings. Frustration compounded the Vantage Motor Group, GardX Protection and Terraclean-backed squad at Croft last time out, but with five victories, nine podiums and three pole positions to their name in 2018, the Worthing-based outfit are a force to be reckoned with once again this weekend in Norfolk. The team is also bolstered by the addition of Michelin Clio Cup Series front-runner Ben Colburn, who makes his debut in the UK’s headline single-make category alongside 2011 championship runner-up and brother James, making them the first siblings to compete together in the championship’s history. Colburn is no stranger to the podium at Snetterton either, with a victory and further podium finish on his record during a meteorically successful stint in the Junior Saloon Car Championship in 2014 and 2015. A capacity trackside audience is expected in the East Anglia sunshine, with the headlining British Touring Car Championship celebrating its 60th Anniversary at the 2.99 mile circuit. The weekend starts with an all-important Qualifying session at 11:30 on Saturday [28th], with both races – the second of which is screened live nationwide through ITV Sport’s free-to-air television coverage – taking place on Sunday at 09:55 and 15:45 BST respectively. James Colburn said, “Snetterton has always proven it’s a circuit where you don’t have to qualifying on the front row to win – overtaking is absolutely possible and I’m certain we’ll have an entertaining race up and down the grid. Ben Colburn said, “My first weekend in the Renault UK Clio Cup is going to be very challenging – but I’m looking forward to that and being able to work with both James’ is amazing – there aren’t any better two drivers to learn from than them! “This weekend the primary objective is getting on the same pace as the rest of the field, and that’s certainly achievable, especially given how promising we’ve looked in testing so far. James Dorlin said, “There’s no two ways about it – Snetterton is an important weekend for our championship. There’s only one objective, and that’s claiming both race wins. “After losing ground on the leaders at Croft there’s only one thing on my mind and that’s getting back to the front where we’ve belonged all season. We gained some valuable data in testing a couple of weeks ago, so I expect us to hit the ground running and sit at the sharp end of the timesheets from the get-go. Tagged Ben Colburn, James Colburn, James Dorlin, Renault UK Clio Cup, Snetterton. Bookmark the permalink.